A WOMAN and young child have been taken to hospital after they were found injured on a street. Police were called to Stenhouse Street West in Edinburgh at around 4.30am. The 35-year-old and the toddler were both taken to hospital for treatment. 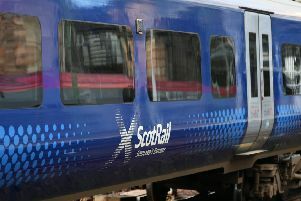 A Police Scotland spokesman added: “At this time it is not thought that either has sustained life-threatening injuries. It is understood police are not looking for anyone else in connection with the case.